Located in Melbourne (Melbourne Central Business District), Quest On William is within a 15-minute walk of Bourke Street Mall and SEA LIFE Melbourne. 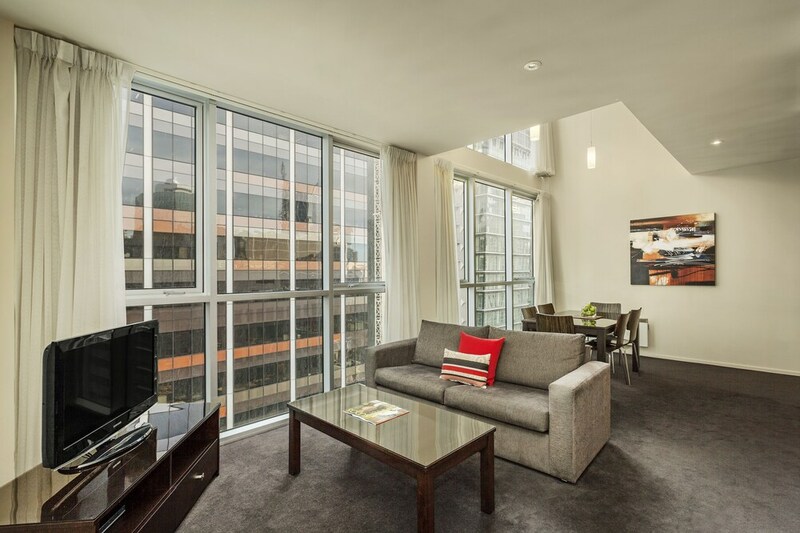 This 4.5-star apartment is 0.5 mi (0.8 km) from Melbourne Central and 0.4 mi (0.6 km) from Flinders Lane. Quest On William features a fitness center, tour/ticket assistance, and concierge services. Wireless Internet access is available for a surcharge. This business-friendly apartment also offers dry cleaning/laundry services, room service (during limited hours), and a safe deposit box at the front desk. Limited onsite parking is available on a first-come, first-served basis (surcharge). Quest On William is a smoke-free property.